fireman, a community man, a husband, a father to three daughters, a grandfather to seven grandchildren and a general all-around interesting character. He was my maternal grandfather. Born in 1906 Lead, SD, he was the second son and the third of nine children born to Frank and Mary (Hauser) Wurnig. He completed 8 years of education in addition to his nine months of pre-Communion education at St. Martin's Academy in Sturgis. He met my Grandma Theresa at a dance. They joined with my Grandpa's sister, Lizzie, to form a band. Grandpa played the violin, Grandma the piano and Lizzie played the drums. They played at house parties in the Hereford area. Grandpa grew up in a baseball family. He and his siblings all played ball. He was the best catcher in the Hereford Flats area. More on this later. He and Grandma had three daughters. My Aunt Bev and my Mom, Patricia Louise, were born in New Underwood where Grandpa had a pool hall. The family lived upstairs. My Aunt Mary Kay was born in Winner after the family moved there in 1940. Grandpa opened a Blatz distributorship in Winner when they moved there. Grandpa hosted a rather famous "poker night" at the warehouse on a regular basis. In addition to serving up some cold beer, he gained renown for his "Tiger Meat". He was not a safari hunter, rather this kind of "Tiger Meat" was a raw beef concoction, ground and heavily spiced, served with saltine crackers. I can only imagine that it was tremendous with cold beer! Over the years, Grandpa carried a wide variety of different beers but in 1953, he took on Schlitz. At the time (and through about 1976), Schlitz battled back and forth with Budweiser as the top brand in America. I still have several Schlitz advertising trinkets from Grandpa that tout Schlitz as "The beer that made Milwaukee famous" and advertised with the slogan "When you're out of Schlitz, you're out of beer". He also carried the aforementioned Blatz, Hamms, Grain Belt, Old Milwaukee, Storz and a few others through the years. Grandpa, a true promoter, was known to sneak some beer into the nun's quarters at church when he delivered pop to them. My family lived within his beer territory in Chamberlain, SD - about 55 miles northeast of Winner. It was just under an hour drive from one city to the other. Grandpa Frank's beer truck made that trip several times each week. They stopped at each of the bars, liquor stores and grocery stores in Chamberlain, refilling their coolers beer before returning to Winner to refill the truck. The beer truck made for a very convenient ride to Winner for me to see my grandparents. Not wanting to let the truth get in the way of a good story, I always said that if I got in trouble at home, I would ride my bike to the bar to wait for the beer truck. More correctly, my mother and grandmother would coordinate where and when the pick up point would be so I could visit my grandparents in Winner. In later years, that might involve me riding my bike to the bar (or grocery store). My drop off point would always be the beer warehouse where all "the guys" would pay special attention to the grandson of the boss. They all treated me great. Grandpa, however, loved to tease. He had many different ways he would do this, but suffice it to say that he was very creative and very persistent! I spent most of my time at my grandparents house when I visited. They had a great variety of toys. There were many trucks (of the Tonka variety), much cowboy gear and other masculine toys. Grandpa and Grandma had three daughters and I was the first grandson. I think they had fun buying some boys toys for the first time. The highlight of my visits there was always playing baseball. Whether it was a neighborhood wiffle ball game or just playing catch with my Grandpa, I learned to love baseball from him. He played, coached and umpired throughout his life. 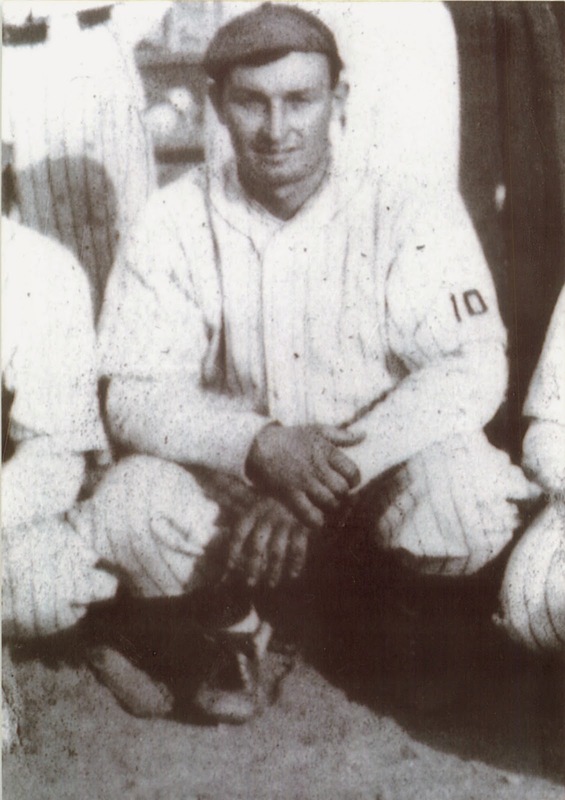 He was posthumously inducted into the South Dakota Amateur Baseball Hall of Fame in 1971.
fence) and sit in the grandstand and watch Grandpa umpire games. He would slip me a quarter every couple of innings so I could do some damage at the concession stand. When Grandpa came home for lunch each day, I would meet him at the door with the baseball gloves and a ball and we would play catch until Grandma came to fetch us for lunch. After lunch, it would be some more tosses until Grandpa had to go back to work. Though I never thought much of it at the time, our lunches were a pretty significant event. Grandpa loved cream of tomato soup, the kind with tomatoes cut up in a milk broth. Grandma fixed it for him almost every day. Often there was a different kind of sandwich to accompany it but she almost always prepared cream of tomato soup. Before Grandpa sat down to lunch, he would go to the refrigerator to retrieve a bottle of Schlitz beer. Then he would go to the cupboard to get a couple of small, clear plastic glasses. He'd open the beer and pour half in each glass. Then he'd slide one of the glasses over in front of me. This was probably a big deal the first couple times it happened, but since it became a regular occurrence, it did not seem very significant. I remember the bitter taste and the bubbles as they went from my mouth to my throat. I would emulate my Grandpa's punctuating "AAAHHHHH!" after each sip then slapping the glass on the table after the final gulp - just like on television! Sometimes this scene would be repeated at dinner time but it was mostly a lunch time ritual. My Grandpa was just enjoying a beer with his grandson. That's me on the car with Grandpa & Grandma. As mentioned above, Grandpa loved to tease me. His favorite was to put his coat over his head when he came home from work at the end of the day. He would knock on the front door and then yell out that he was looking for a "blond-haired, blue-eyed little" boy. He would cook up some scary scenario for this kid if they found him. I was always concerned, even when I knew it was Grandpa teasing me. Grandma would always get mad and chew him out for scaring me and he would always have a belly laugh about the whole episode. I sometimes wonder if he knew that his time with me was limited and so he wanted to get as many "Grandpa moments" in as possible. He certainly made an impact on me. I remember he liked "Gunsmoke" and the "Jackie Gleason Show". He had a favorite rocker/recliner chair that he would sit in to watch those shows. He sat in that same chair as we watched the 1967 World Series together during our last fall together, Grandpa was a Red Sox fan (his oldest daughter, my Aunt Bev, lived in Boston) and he infected me with that disease that fall. Carl Yastrzemski won the Triple Crown that season. He and Jim Lonborg led the Red Sox to the Fall Classic against the St. Louis Cardinals. They would lose in seven games but they won my heart over in the process. I am still a Red Sox fan despite the fact it was twenty years before they made their way to the World Series again and 37 years before they cast off the "Curse of the Bambino" and won the Series. Grandpa died the following spring before I turned eight years old. He was 61 - still a young man. He left a very lasting impression on me in those seven plus years and I think of him often. I know that am a better person today because of my time with him. 1/27/1949 Frank Wurnig, owner of Nesbitt Bottling Co. elected VP of SD Beer Wholesalers Assn. 9/20/1951 Herman Johnson buys Dairy Maid from Frank Wurnig. 4/30/1953 Frank Wurnig elected President of South Dakota Soft Drink Bottlers Association. 11/26/1953 Nesbitt Bottling Co. owned by Frank Wurnig will now distribute Millers and Schlitz beer. 10/17/1957 Frank Wurnig of Winner named head of Chicago-Black Hills hiway Association. 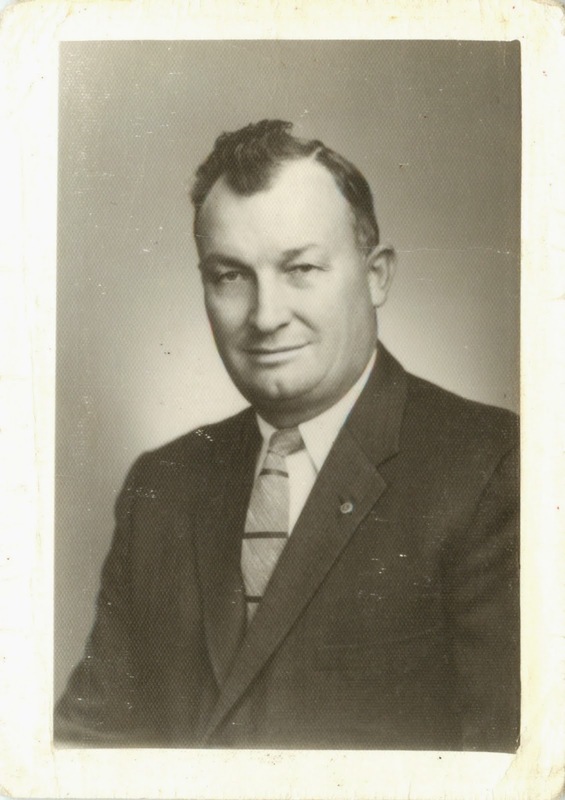 12/5/1957 Frank Wurnig reappointed District Commissioner for SD Amateur Baseball Association.